I've got an awesome 2018 collection of women's beautiful sunglasses styles for you tonight. We are going to see this year's must-have designs. 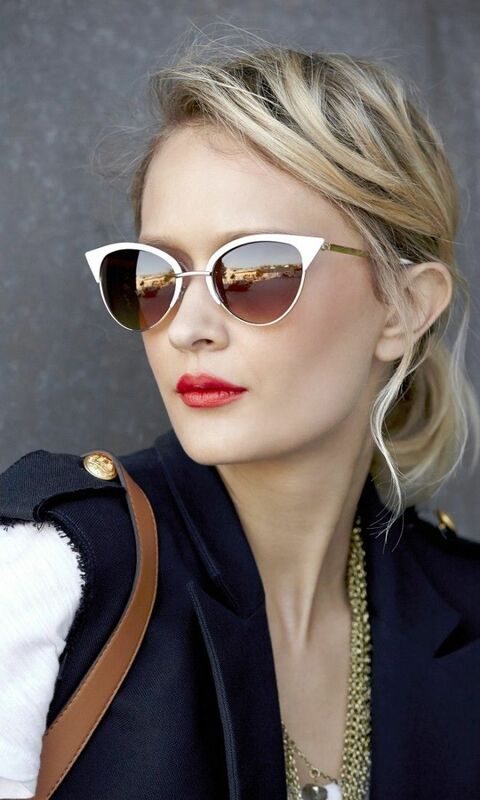 No matter what is your personal style, but I am sure you will fall in love with at least one of these chic sunnies. There is an undeniable fact, each of the following designs protects your eyes from the sun rays, but nowadays every new styles completes your outfit and gives you a perfect twist. I have gathered different models what for sure will finish your look. In this collection you are going to see embellished, mirrored, rounded, aviators and many other beautiful styles. 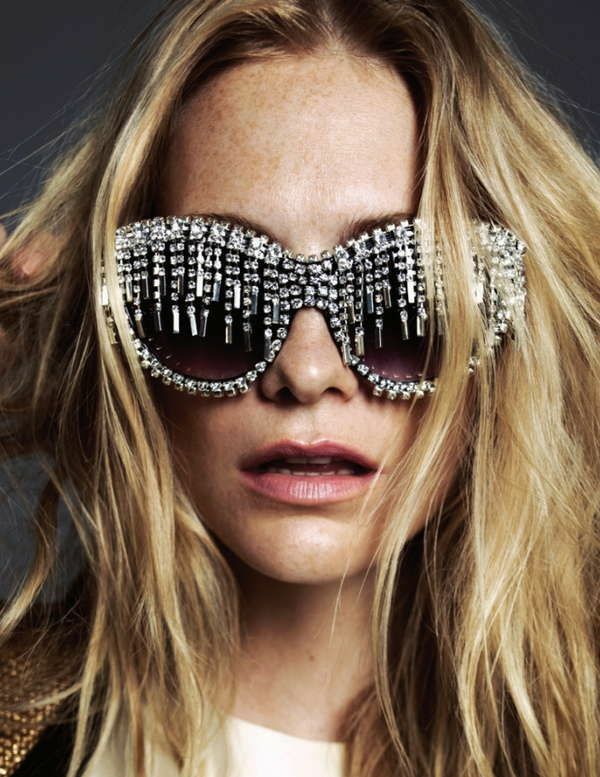 If you want to finish your party look, then I recommend to try on embellished sunnies. You can even think of some DIY, like taking old pair of sunglasses adding some pretty details, making them festival-ready. This year's new hot style is called flat top frames. These glasses are perfect for cool night and cocktail parties. They look simple and minimalistic. The mirrored style is still in trend. They will always add col and edgy vibe to any outfit. There are numerous of lens colors, but my favorites are the blue ones. 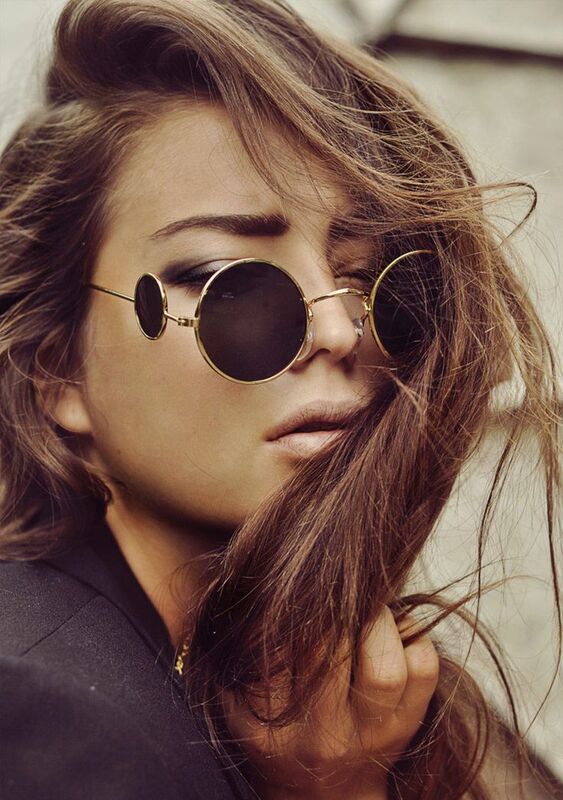 Retro rounded frames will for sure add a retro or a kind of grunge touch to your look. I like to call them Lennon's. This is a big trend right now. It's no wonder why, they are cool, unique and super chic. 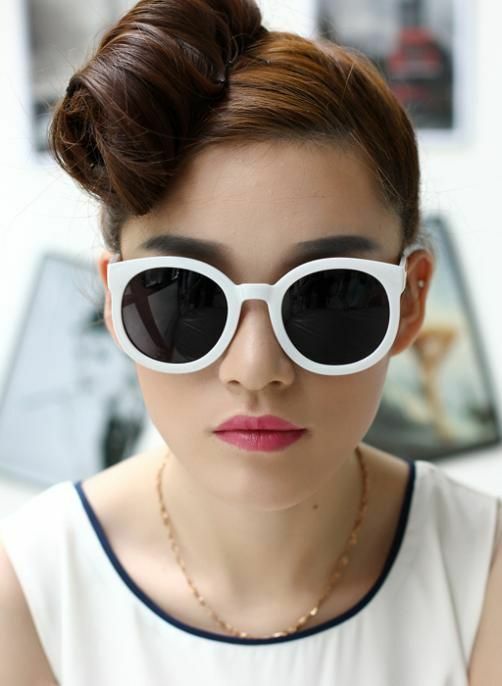 If you want something modern and fun, then I suggest you to wear white frames. They are cute and casual. Combine them with your minimalistic outfit for everyday street walks. The aviators will never go out of fashion. It's like a timeless accessory what is a perfect addition to any wardrobe style. You can even try on the mirrored pair. 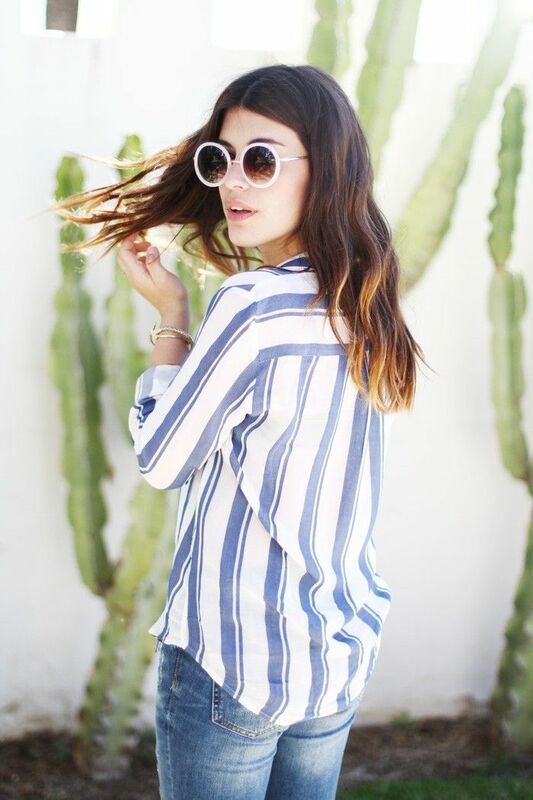 The cat eye sunnies are ultra chic and ladylike. I am totally in love with shiny or gold hue frames. The retro look is taken to the next level.